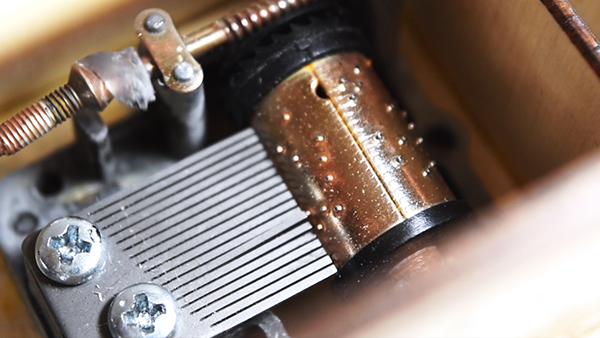 A kinetic drawing machine that is inspired by music boxes. 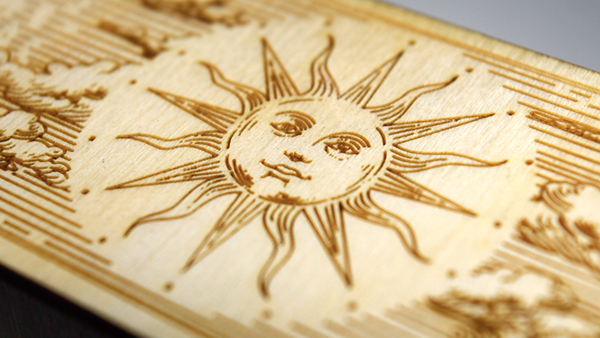 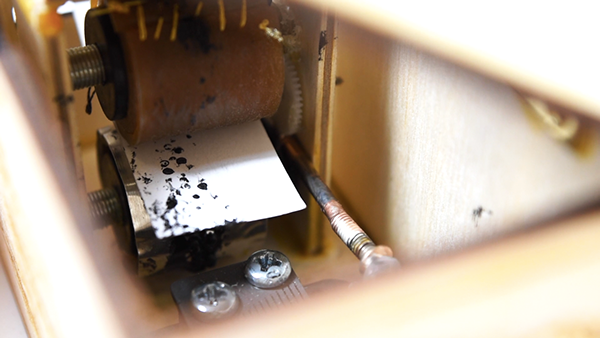 This project utilises components of a music box modified into a drawing machine that printmakes "You Are My Sunshine" in Braille onto paper. 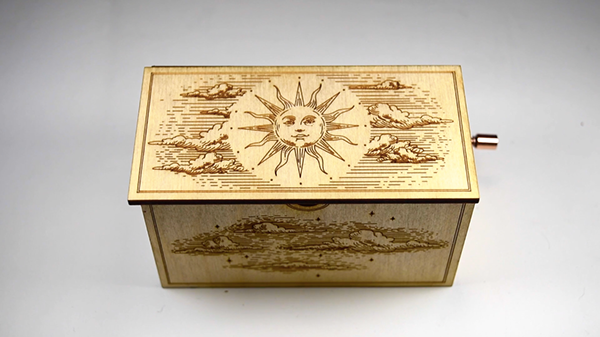 The box was designed and drawn on Adobe Illustrator and lasercutted onto birch plywood to create the aesthetic of an antiquated music box.